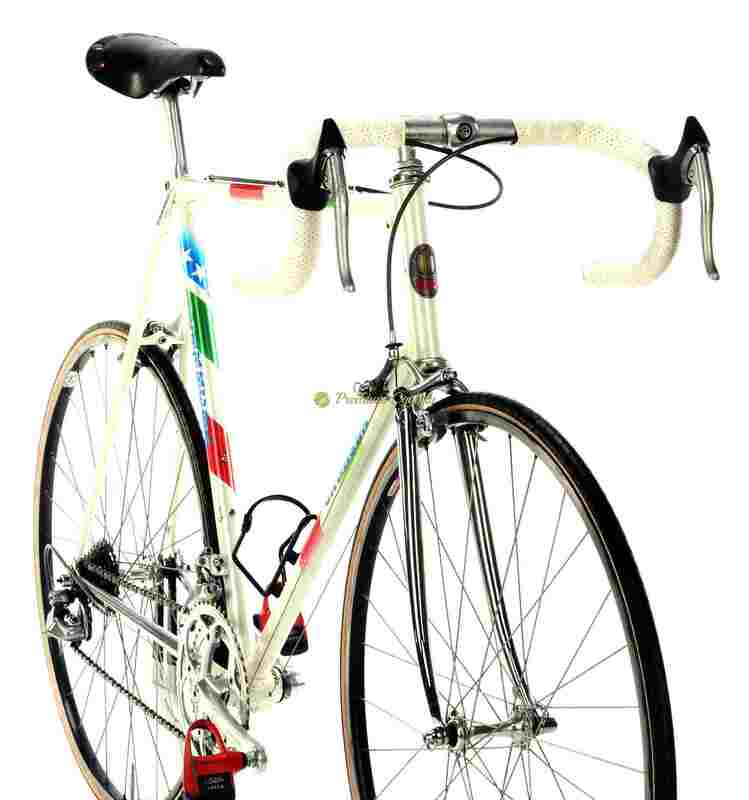 Carrera was an Italian-based road bicycle racing team active from 1984 to 1996, named after sponsoring Italian jeans manufacturer Carrera and became an icon of Italian cycling successes. 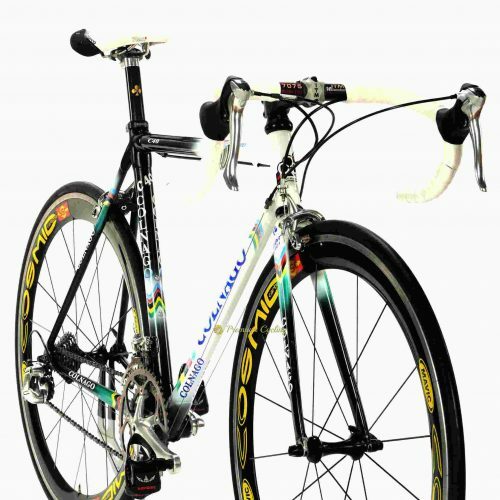 In 1989, Carrera manager Davide Boifava together with Luciano Bracchi and Francesco Boifava founded Carrera Podium, a high-end bike manufacturer. It was founded as a result of experiences gained in professional cycling races by the three partners. The company’s goal which is simple and clear, and which is supported by a rich history of over 500 victories in the most prestigious competitions. From 1990 on, Pantani, Chiappucci, Roche, Bontempi, Abdoesjaparov, Sorensen, Tafi, Zberg, Zaina,Pavlic.. rode this Carrera bikes made by their experts. Happy to offer another iconic Italian steel racing machine – Carrera ”Gold One” by Podium. The frameset is made of Columbus SLX tubing, Cinelli lugs and bb shell (every single lug has a Cinelli logo engraved), has a number holder and shines in original CarreraVagabond Team paintjob. All original build: Shimano Dura Ace 7400/7402 parts, Cinelli cockpit, Regal Girardi saddle, Ambrosio Servizio Corse wheels. No much words needed. Condition: Used. The frame has no cracks, no dents and is not bent. Original paint and decals. Signs of use, paint chips all over as on photos. All parts are working fine.